– It was quick and easy to do. – I didn’t have to coordinate with anybody in advance. – It was believable. The Museum of Hoaxes has a list of the top 100 April Fool’s Day hoaxes of all time, and reading through that list, I realized that a prank needs to be believable. “e&o” would of course be my two lovely cats, Emmy and Oz. How did I pull off the prank? Well, the credit for the hacked page (and the inspiration) goes to my wife. She rocks. We looked at some Google image search results for [hacked site] and then she just whipped up a great page. Then I did a post or two to lay the groundwork to convince people that the site was acting weird. Having my site get “hacked” was believable, but in practice the latest version of WordPress has been very secure in my experience. That makes any page except one starting with an “i” do a 302 redirect to the “hacked” index.html page. The 302 tells search engines that things are temporary and to try back later, so I shouldn’t see any long-term drops in my indexed pages. The directive to redirect everything except stuff starting with “i” is a little sloppy, but it let me redirect all my urls to the index.html page. That way, I could swap /blog/ and /hackedblog/ directories really easily. I’m mostly caught up on my feeds. It was relatively quiet the last couple weeks, but I’ve seen 2-3 things I wanted to talk about in the last couple days or so. First, WebProNews ran this post that claims that Google is selling PageRank 7 links. My quick take: when you dig into it, it turns out that it’s a Google directory of enterprise companies that can do things like write plug-ins for proprietary data types for the Google Search Appliance, merge geospatial GIS data, and integrate telephony products with Google Apps. This is a program for enterprise companies, and I don’t think anyone has even suggested before now that this directory could be construed as selling links, but just to avoid even the appearance of anything improper, I’ve already submitted a change to ensure that there’s no PageRank benefit from these links. I left a comment on the original post; I wish that WebProNews would show comments on their blog partner program. Right now, someone would read that article, but wouldn’t know that there are any comments (including mine) on the original post. When Elinor asked for a comment about this, several of us read the original complaint, and I have to admit that we were perplexed. Google doesn’t provide phone support for webmasters; as Vanessa Fox recently noted, over 1 million webmasters have signed up for our webmaster console alone, so offering phone support for every site owner in the world wouldn’t really scale that well. They talk about buying ads later in the paragraph; we wondered “maybe they were talking to phone support for AdWords?” But I can’t imagine anyone at Google on the ads side or anywhere else saying our search engines were backlogged with too many sites to monitor. The Google index is designed to scale to billions of webpages, and it does that job pretty well. It’s even harder for me to imagine anyone at Google saying on the phone that they would “BLACKLIST our websites so no one would ever find us again,” because again, we don’t provide webmaster support over the phone, and I believe AdWords phone support would know better than to claim our index was backlogged or to threaten to remove anyone’s site from our index. Maybe a call to AdWords support reached such a fever pitch that a representative declined to run an ad? At any rate, I’m sorry for any negative interactions that wesrch.com had with Google. The current description of the issue doesn’t give enough concrete details to check out, but if anyone from that domain wanted to clarify or to provide emails or dates/times/names of phone calls (did they call AdWords? Randomly try to hop into the Google phone tree? Talk to a receptionist? ), I’d be happy to try to look into it more. In the absence of more details about their interaction, I tried to dig more into the crawling of wesrch.com. I didn’t see any negative issues (no spam penalties or anything like that) for the domain. I saw attempts to crawl the site as far back as October 2006, but that earliest attempt got an authentication crawl error (that would have been a 401 or a 407 HTTP status code). I believe that this allegation went out Feb. 2nd, and I believe we had at least one page from that site at that point. I did notice that visiting the root page of the domain gives a 302 (temporary) redirect to the HTTPS version of the domain. That’s kinda unusual, but we should still be able to crawl that. It looks like Google crawls wesrch.com at least as deeply as any other major search engine. I’m still confounded who the folks at wesrch.com could have talked to at Google, but I’ll leave open the offer to dig into it more if they want to provide more details. And I’ll wish them well for their new domain in the future. trying to learn how the bad information I submitted can be corrected. Looks to me like Google only responds to large institutions! definitely appreciate your taking the time on this! Those were 2-3 semi-negative posts that I wanted to give a quick take on. Just so that people don’t get down thinking that every post is negative about Google, here’s a really interesting post by Bill Slawski of SEO by the SEA. Bill pulls together mentions of twelve different Googlers who have made nice contributions to Open Source or open standards. I know of several other Googlers who help open-source projects and who aren’t on that list; it’s good to be reminded that Google contributes to the open source movement in a lot of ways. I wanted to talk about Blake Ross’ post entitled “Trust is hard to gain, easy to lose”. I agree with much of what he says. There’s a continuum to showing tips. Toward the “hawk” side of the spectrum is the notion that a company can show whatever reasonable content they want on their own web site. Toward the other side of the spectrum is the desire to show the best services, whether they are competitors or not. Historically, Google has been much further toward the “dove” side than most other companies. I personally fall somewhere in the middle. If a Google searcher types in [picture] or [hard drive images], offering a tip to use Google Image Search makes sense to me because it tells a user that they should try image searches instead. Image search tips have been running for quite a while and users generally haven’t objected. [blogoscoped]. The easiest way to get to Philipp. [google reader blogroll shared]. I was trying to answer a question from Francine. [site:phpicalendar.net attendee]. I’m spending some time helping a local non-profit get a calendar working. They’re using Google Calendar as the backend and PHP iCalendar as a way to merge multiple calendars together and change the skin of the calendar a lot. There was a weird interaction between Google Calendar and PHP iCalendar based on the ATTENDEE field of an .ics file. [google webmaster blog]. 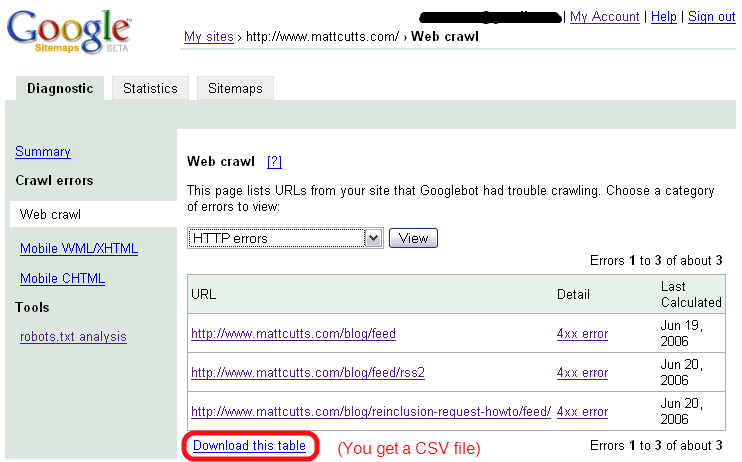 The quickest way to get to http://googlewebmastercentral.blogspot.com/. Q: But if Google thinks its (say) Calendar is the best, isn’t it okay to give that as a tip? A: In my personal opinion, not if the tip triggers for too many irrelevant queries. Q: Is it fair that people hold Google to a higher bar than anyone else in the search industry? A: Whether it’s fair or not, it’s a fact that people expect more from Google than other companies. People compare other search engines to Google, but people compare Google to perfection. We have such passionate users that they’ll complain loudly if they think Google is ever straying from the right path. If you’re a Googler, it may feel frustrating. Instead, I’d choose to be grateful, because that passionate feedback keeps our heads on straight. When our users yell at Google, they care and want us to do the right thing (for their idea of what the right thing is). What other company gets that kind of feedback? Besides, if Yahoo or Microsoft jumped off a building, would you jump off too? 🙂 So yes, if the decision were up to me, I’d remove these tips or scale them way back by making sure that they are very relevant and targeted. But someone in AdSense mentioned an interesting case that they’d heard of. Apparently, doing url rewrites in ASP .NET 2 can sometimes generate an HTTP status code of 302 instead of a 200. This issue isn’t specific to Googlebot (it would impact any search engine bot). The best write-up I’ve seen is at http://communityserver.org/forums/536640/ShowThread.aspx. Looks like one of the first places noticing this was here (note: that post is French; an English translation is here). It sounds as though if this issue (ASP.NET 2 + url rewriting generates a 302 instead of a 200) affects you, your site may drop out of most search engines. So how would you debug this? Fiddler is one handy tool for Windows. For Firefox, you might use the Live HTTP Headers extension to see the actual request your browser sent, and the raw reply from a web server. Clicking on the red oval above lets me download a file listing the problems that Googlebot had crawling my site, for example.